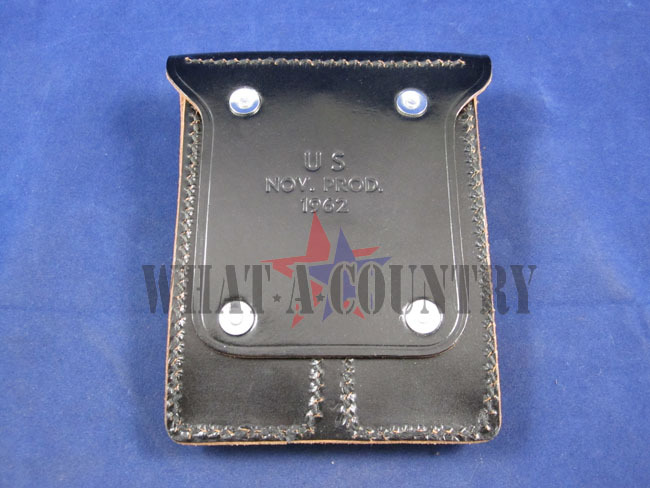 Original unissued USGI leather .45 magazine pouch. Holds two 1911 .45 magazines. Class 2 black leather with snap/flap closure and 2-1/2" belt loop. 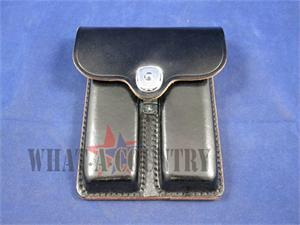 Pouch was used by MP's, gate guards and full-dress drill teams. This is not a reproduction.